Medical technologist Kim Kieffer had some retirement resources but was concerned about keeping up the mortgage on her home and unsure whether she’d be able to afford retiring in a few years. The U.S. Census Bureau estimates that 4.3 million Americans will turn 60 next year. Many of them worry about their ability to pay for retirement. Among next year’s wave of 60-year-olds is Lake Tapps resident Kim Kieffer, and last summer she was worried. The fast approach of her milestone birthday reminded Kieffer that her own retirement was no longer a distant event. Time was passing quickly. She also had doubts about whether she could afford to stay in her home when she quits working. Last year the divorced mammography technologist bought a house in Lake Tapps with a view. Kieffer loves the home, but she worried about her ability to pay nearly $2,500 a month in principal, interest, taxes and insurance as a retiree. Twice she turned to financial advisers for retirement guidance only to receive perfunctory — and unsatisfactory — advice in return. On a Sunday in September, Kieffer applied for advice from the Money Makeover project at The Seattle Times, and the newspaper provided her name to the Financial Planning Association of Puget Sound. The association solicited its membership for a volunteer. Len Skiena, CEO of financial planning firm S.R. Schill & Associates on Mercer Island, offered to advise Kieffer at no charge. Skiena met with Kieffer, examined her financial information and produced a detailed, 46-page report. Then he surprised her by declaring that her finances were pretty solid. Kieffer said his assessment caught her off guard. Skiena has seen it before. “That’s not uncommon that people don’t know what their situation is,” he said. Women are especially vulnerable. An institute study in 2016 concluded that women have smaller nest eggs than men and are far more likely than their male counterparts to live in poverty after the age of 65. Kieffer appears poised to avoid that fate because of her stable employment history and frugal spending habits. 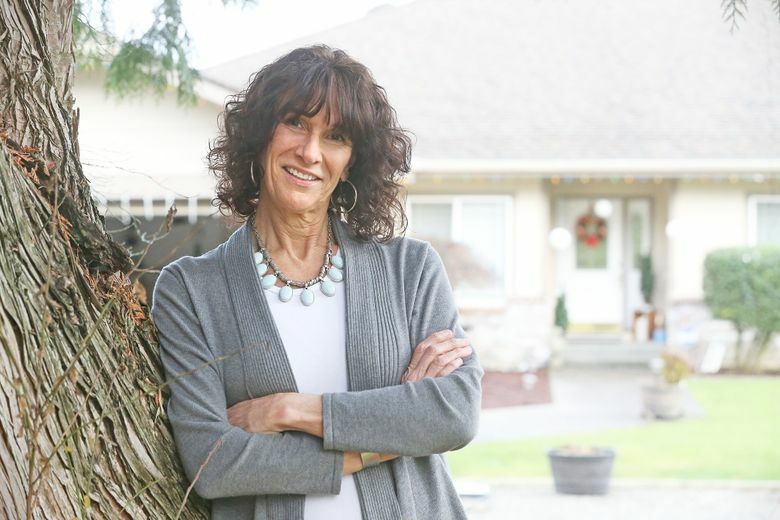 She began studying to become a medical X-ray technician as a teenager, and St. Francis Hospital in Federal Way hired her when its doors opened in 1987. Thirty years later, Kieffer is still there. She earns about $88,000 a year before taxes and has about $342,000 stashed away in workplace retirement-savings plans. Kieffer also has about $74,000 in three bank accounts as well as an individual retirement account that she opened on a whim in 1987. The IRA, which contains about $80,000, would later provide another surprise. When she retires, Kieffer can expect two revenue streams: a monthly pension payment of $2,057 and a monthly Social Security benefit of $2,405 if she waits until several months after her 66th birthday. Few employees these days have pensions, which are also known as defined benefit plans. Only 12 percent of American workers had access to a pension plan last year, according to Pew Research. Kieffer’s pension strengthens her retirement outlook, although she would probably not run out of money without it, Skiena’s projections showed. Kieffer’s only debt is her mortgage. Seven years after losing a house in a divorce, Kieffer in 2016 bought a 23-year-old home near Lake Tapps for $533,000. She currently owes about $406,000 on the property at a favorable interest rate of 3.99 percent. Her dream is to live in the house in retirement and keep the property in the family. She has three adult children. Kieffer was relieved when Skiena told her that she could afford to stay in the home for years to come. “That was huge for me,” she said. After concluding that Kieffer was on solid ground, Skiena focused on how to strengthen her financial future. He started asking questions about the IRA. Kieffer had purchased the account 30 years earlier at an Allstate Insurance kiosk at the Tacoma Mall Sears. She still had the original paperwork. Annuities promise future payouts, although their fees eat into growth. Deposits also can’t be withdrawn without penalty for periods of time, essentially locking up the money. He urged Kieffer to roll the money out of the annuity into an IRA and invest it more aggressively. Penalties for early withdrawal are unlikely after 30 years, he reasoned. Skiena also advised Kieffer to invest her retirement savings for greater returns. Many individual investors get queasy over the ups and downs of the stock market. But Skiena argues that avoiding market volatility by investing in “safe,” low-return securities creates another risk — of running out of money, in part because inflation eats away at everyone’s nest egg. Skiena’s firm uses a rolling, 50-year average inflation rate that currently stands at 4.07 percent. Any investment with a return less than that is losing ground. “If you don’t have sufficient growth in your account to allow you to live your life without running out of money, that’s a far greater risk than the fact that the market occasionally goes up or goes down,” Skiena said. To underscore his point, Skiena ran projections that showed Kieffer, in all probability, could double her assets by age 87 by investing more aggressively. Kieffer says Skiena brought her financial condition into sharp focus, and she plans to follow through on all of his recommendations. Although she loves her job, Kieffer may even reduce her hours when she turns 62. A few months ago, she figured “no way.” She’s since changed her mind. “Now I know that I will be able to retire,” she said.